The doctor-recommended approach to weight loss in Rockland County and the program that has been working for both men and women in our office for several years. Weary of fad diets? NuLean is a 100% natural weight loss breakthrough for men and women that reprograms your body to let go of fat permanently. The result is a whole new you with improved health and that youthful, energetic slim body you somehow lost along the way. A NuLean cleansed body is a slim and healthful body. The average person lost 7.5 pounds. The average combined total inches lost per person (waist, chest, hips, abdomen) was 7.63 inches. Average glucose measurement per person dropped by 3.7%. Average total cholesterol per person dropped by 5%. The average loss in triglycerides per person was 19.3%. 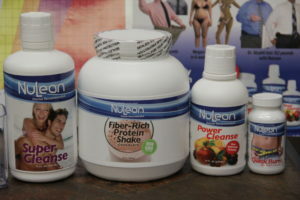 The NuLean Wellness Weight Loss Cleanse naturally cleanses the body of toxins. It is a program consisting of a proprietary blend of herbs and nutrients designed to cleanse the body of impurities and fat. The program recommends a light to moderate daily exercise program (depending on the fitness level of the individual). You can do the diet once or repetitively until your target weight is achieved. Why choose New City Chiropractic Center to manage your weight loss program? The doctors in our Rockland County office in New City are passionate about wellness on a structural, nutritional, even emotional level! We’ll show you how to lose weight and teach you to manage and maintain your weight loss while maximizing your TOTAL HEALTH. Call us today to find out more about natural weight loss at 845-634-8877. This revolutionary method provides results without the dangers associated with surgery. Unlike surgical liposuction, our non-surgical lipo-sculpting allows you to remain active during treatment. Sessions with our fat loss Slim Co ™ system are easy, painless, and carefree. Each session takes less than an hour; the slimming machine is used for a total of 15 minutes. The system is applied to the targeted area, which is generally the waist, hips, or thighs, for 15 minutes. The minimum suggested treatment period is two weeks, with three full sessions each week. You should consult your technician about the maximum results for your body type, weight, and target loss. Many clients have described the session as relaxing, and even Zen. Some even try to catch up on phone calls with friends and loved ones as they lie down and the system removes excess fat. You simply lie in a comfortable, stationary position for twenty minutes at a time, in a relaxed environment. Since the fat loss Slim Co ™ system uses cutting edge technology, you feel nothing during the procedure. You may feel a bit different and lighter as you exit the treatment center due to the bio-stimulation that begins in your body to remove excess fat. Call to find out more, 845-634-8877 or Schedule a Consultation. You can also read more about our doctors here.